Most frugal holiday shopping guides are full of money saving gift ideas like CLF light bulbs or rechargeable batteries. Um, okaaaay. That is all fine and good in the money saving department (heck I use them myself!) but is lame in the gift department. How would you feel getting something you can easily buy on a whim in the checkout line at the hardware store? I thought so. Not so good. Since Husband and I have a good reputation for giving good gift, I put together my own Christmas and Hanukkah gift idea list of items that not only save the recipient money but are also something the person will actually like to receive. 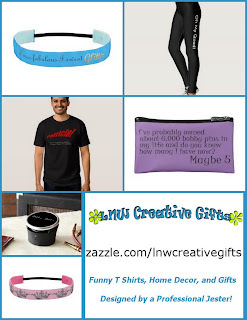 Most of the items in my frugal holiday gift guide are things I have gotten as a gift, have given as a gift, or want as a gift. 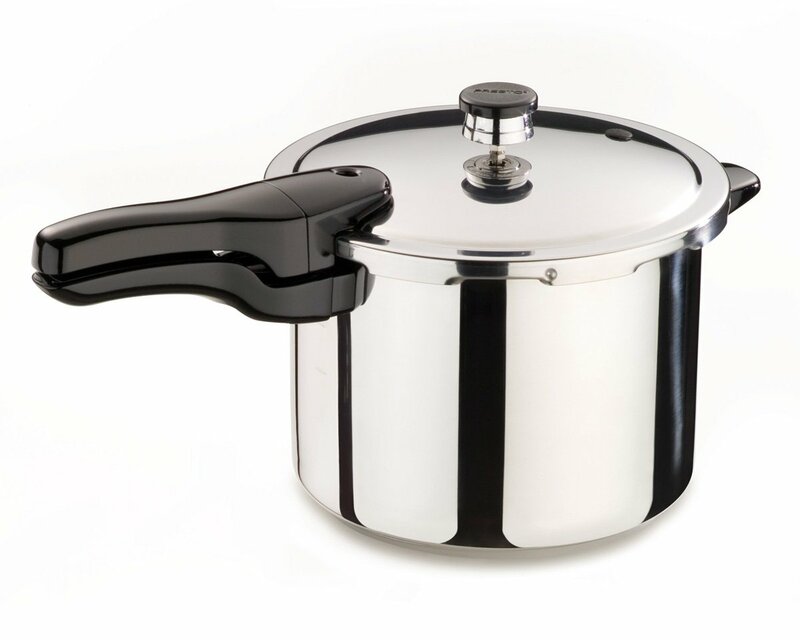 Presto Stainless Steel Pressure Cooker comes in either a 4 quart or 6 quart cooker and will help you save fuel, time, and from a fast food meal when you need to make a real meal quickly. 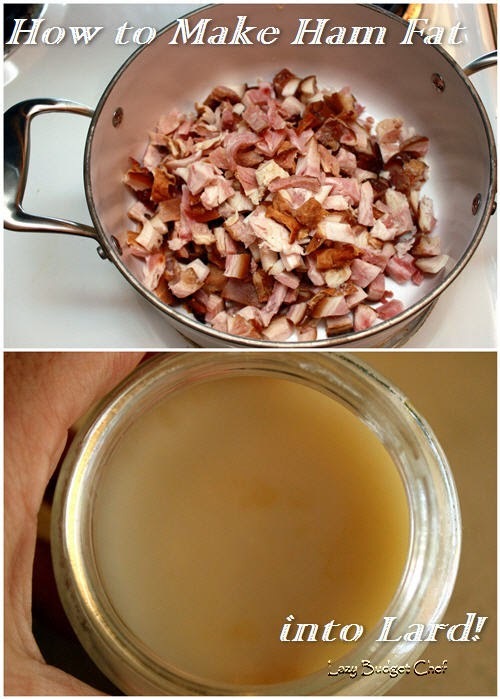 A foodie friend raves about how much he loves that he can cook mashed potatoes, dried beans without the presoak, and meat in no time! The stainless steel model is a bit more expensive but worth it because aluminum pressure cookers have to have a chemical liner to make them food safe which is often BPA. This BPA free guy is on my personal Christmas list. Hamilton Beach Stay or Go 6-Quart Slow Cooker is another time, dinner, and money saver. The lid clip allows you to transport it to a pot luck, tail gate, or where ever needed without worrying about the lid coming off and food sloshing out all over your car or self. If it weren’t for our slow cookers (we have 3) we wouldn’t eat! If you are not comfortable with leaving an electric slow cooker plugged in when you are away from home, consider theWonderbag Portable Slow Cooker. I have one and it is great! It is so easy to use: simmer the ingredients for 30 minutes on the stove, put the pot in the insulated cooking bag, close it up, and allow it to finish cooking the meal. If you buy a Wonderbag through Amazon, Wonderbag will donate one to a family in need in Africa; Families in developing countries who use Wonderbags save up to 30% of their income otherwise spent on fuel for wood stoves. Another spill proof way to transport hot food in the car! To keep leftovers from becoming science experiments in the refrigerator, consider the Pyrex 14-Piece Round Storage Set. Yes, there are less expensive plastic options but in my experience, plastic containers eventually stain, crack and need to be replaced. I bought a set of glass storage containers (sets are cheaper) as an experiment because we were leery of glass breaking. Several years later, we haven’t broken a container or had to toss it because of a cracked lid. I think glass keeps food fresher longer too. No BPA worries with glass containers either! 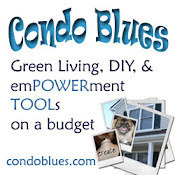 My family took on a year long project to reduce our electric use by 32% on my DIY blog Condo Blues. The Kill A Watt EZ Electricity Usage Monitor allows us to keep an eye on how much electricity our appliances use so we can set them accordingly for maximum savings. If you have a gadget person on your gift list (guilty! ), they will enjoy this cool little tool that tells you where your utility money goes. Canning is an excellent way to save fresh summer produce for later not to mention, canned jams and jellies make excellent hostess and holiday gifts! If you want to dip a toe in the canning water, the Ball Home Canning Discovery Kit makes a great gift. The kit comes with a silicone basket that fits into a stock pot you already own along with 3 canning jars, lids, and rings. Pair it with the ultimate go to book of canning recipes Ball Complete Book of Home Preserving to get the party started. You don’t need a bunch of fancy tools to can food but they sure do make the process easier. Upgrade your favorite canner to the Cook N Home Stainless Steel 5-Piece Canning Tool Set and they will love you forever. The set includes a canning funnel, jar lifter, lid wand, tongs, and jar wench in rust proof and BPA free stainless steel. I have my grandmother’s metal canning tools. They are sturdier than to the current plastic versions. The Kuchenprofi Stainless Steel Jar Funnel with Filter might be an odd choice to put on a holiday gift list unless you buy in bulk and decant the items into kitchen storage jars. For that purpose, my canning jar funnel makes the process easier and less messy. The Kuchenprofi fits small to large mouth bottles and jars and has an optional strainer which would be helpful when making broth or jelly. I put this on my personal Christmas list too! I got a Nesco 600-Watt Food Dehydrator last year for Christmas and it has already paid for itself in the amount of food we were able to save from our garden, from going bad before we could eat it, and to make our own snacks – including dog treats! In our research, the Nesco dehydrator came out on top. It comes with 5 trays with the option to expand to more, a top-mounted fan for more even drying, and an adjustable thermostat from 95-to-160 degrees (F) which allows you to dry everything from herbs to meat jerky. The recipe book, 2 mesh sheets for drying small items like berries and herbs, and 2 solid sheets for fruit roll ups are helpful too. And it is portable! Perfect for a small house like mine. If freezing extra food and leftovers is more your style, the FoodSaver Advanced Design Vacuum Sealer will keep my nemesis, freezer burn, from ruining frozen food. Vaccum sealing can also extend the shelf life of dehydrated food too. The FoodSaver comes with one roll of BPA free plastic you can use to vacuum seal food. If you want to skip the disposable plastic altogether, the Food Saver comes with a hose you can use to vaccum seal food into mason jars you already have. If you buy either a FoodSaver Regular-Mouth Jar Sealer or FoodSaver Wide-Mouth Jar Sealer attachment you can kiss the disposable plastic rolls goodbye! Potentially plastic free food preservation! A Netflix, Hulu Plus, or Amazon Prime subscription as a family gift to save money on expensive cable packages or movie rentals (or in our case, late fees from the library.) Personally, my family goes with Amazon Prime because in addition to watching movies and TV shows, Husband reads free books from the Free Kindle Lending Library, and we get free 2 day Amazon shipping which is helpful because Amazon is our go to store for just about everything. I am thankful my mother taught me to sew. I can’t tell you how much money I saved hemming and mending my clothes and making curtains, duvet, and slip covers instead of buying spending ready made ones. I’ve even made a bit of extra money sewing costumes and clothes for others. The SINGER Tradition Easy-to-Use Free-Arm 19-Stitch Sewing Machine is a great beginner sewing machine that has 19 built in stitches including button holes (so jealous!) and automatic threading. At $79.99 this is a great price for a sewing machine that does a little bit of everything if you want to dip a toe in a new hobby water. I will save money on many things but coffee beans are not one of them. That also means we regularly kill electric coffee bean grinders (we also used them to grind herbs.) The manual Hario Ceramic Coffee Mill Skerton may cost a bit more than an electric coffee grinder but would probably saved me the money we spent replacing our practically disposable electric coffee and herb grinders. The best part about the Hario is that the grinder and glass jar are the same size as a standard mason jar so you always have a backup jar! The ceramic disks make a much more flavorful grind. Owning a very good coffee maker keeps me from heading over to the coffee shop for decently brewed coffee. The Chemex 8-Cup Classic Series Glass Coffeemaker uses all of the chemically correct methods for brewing an amazing cup of coffee. There is a learning curve when using this all glass coffee maker. The Chemex requires fine ground coffee and that you heat water in a tea kettle prior to brewing. It may take a bit more time than other coffee making methods, but the Chemex won’t leave sludge in the bottom of your coffee cup like a French press or stove top espresso maker can. I take making tea even more seriously than I do my coffee (which is pretty darn serious.) Most people do not realize that black tea, white tea, and green tea should be brewed with water at different temperatures otherwise the tea will taste bitter. I like the Adagio Variable Temperature Electric Kettle because the pre set tea temperature settings allow you to heat water to your preference in its stainless steel BPA free kettle with less energy than it takes to fire up the stove. It has an automatic shutoff when the water reaches your desired temperature. Travel coffee and tea mugs are our road trip staple and allow us to drink our fancy pants coffee on the road (sometimes coffee shops will give you a discount if you bring your own mug!) Most travel mugs aren’t cute or fun so when I saw the Camera Lens Travel Mug I had to put it on the list. Not to mention, I like photography. The interior of this replica camera lens mug is stainless steel and has a food grade plastic exterior. The Camera Lens Travel Mug comes as a Canon EF 24-105mm f/4L IS USM Lens for Canon users and as a Nikon AF-S 24-70mm f/2.8G ED Camera Lens for Nikon users. Never lose your lens cap again - you drink out of it! If you like French press coffee or loose leaf tea, you can enjoy it on the go with the Bodum Insulated Stainless-Steel Travel French Press Coffee and Tea Mug. 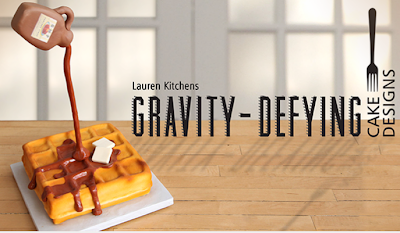 It is made of vacuum-sealed, double-wall stainless steel and features two words that are music to my ears – dishwasher safe. I wish they had the Tovolo TeaGo Mobile Tea Infuser when I worked in an office. Then I could have enjoyed loose leaf tea on the go. The TeaGo has a BPA free plastic compartment for storing dry tea leaves and holds enough for 4 cups so you can load it up before you leave home.The stainless steel fine mesh holes in the infuser prevent leaves in your steeped tea (unlike my current tea ball which is why it stays home.) The TeaGo also has a has a flat bottom so it will not tip a small cup over by leaning on the side. Not your grandma’s tea ball! Most people forget to bring a reusable water bottle filled with their favorite cold drink when they are out and about which means you can’t buy the extra large funnel cake because they had to buy a drink to go with it (or is this just me at the fair?) The Chicobag Water Bottle Sling allows you to tote your favorite drink with you. No bulky tote bag or backpack required! The Water Bottle Sling is made from recycled plastic bottles and features a pocket for your keys, ID, etc. It folds up into a pouch you can clip to your key ring when not in use. Cooking, crafting, quilting, DIY, etc. class and experience gifts allow you to learn a new skill or more about a hobby you already enjoy. Personally I like taking on line classes from Craftsy because they offer a wide range of subjects like photography classes, sewing classes, jewelry classes, quilting classes, cooking and baking classes, crochet and knitting classes, and more. Craftsy classes are real classes and not some cheesy YouTube video. You can contact the instructor with questions and get timely answers and can play the video course on any computer, tablet, or phone as many times as you want. How cool is this cake?! I can’t imagine how much something like this would cost to buy from a specialty bakery. You could learn how to make it! Never spend money on shaving cream or razors again! Most people are familiar with men’s electric shavers like the Philips Norelco Powertouch Electric Razor. Women’s electric razors exist too! I have the Panasonic Close Curves Wet/Dry Shaver for Ladies and could not be happier with it. I can use it in the shower or opt not. The pop up trimmer is great for underarms. If you play guitar you probably don’t lay out a ton of money on guitar picks but the Guitar Pick Maker is cool and useful just the same. The Guitar Pick Maker punches guitar picks from something you might eventually toss - plastic gift and, if you are trying to change a habit, credit cards. Sometimes my steam cleaner is the only thing that will remove baked on yuck from the oven, blast mildew from the shower, or remove mystery sticky things from my kitchen floor. I got the HAAN Complete Professional Steam Sanitizer for Multipurpose Cleaning for Christmas and am glad I got this steam cleaner over one that only does floors. The HAAN comes with an attachment kit including tile and grout brushes, a window and glass cleaning attachment, garment steam head, an angled steam nozzle, and more. HAAN claims its pressurized steam kills 99.9% of household germs without needing a single drop of hazardous cleaner. I like to think of it as autoclaving my floors. Husband and I were great about chucking our vegetable scraps, leaves, and paper into our DIY compost bin stunk at turning the bin because it was a pain. 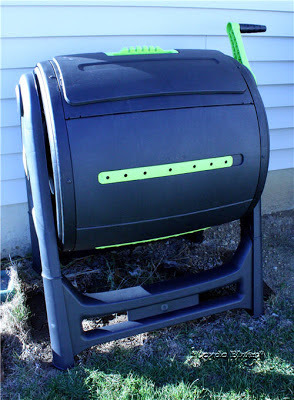 We treated ourselves to a Keter Dynamic Compost Bin last Christmas as a family gift. We chose the Keter because it is one of the few tumbling compost bins that has interior paddles to break up potential clumps inside the pest and animal proof compost bin. In fact, we actually turn the compost every time we toss something into the bin because the handle makes it so easy and produces compost more quickly than our old bin. The Keter compost bin has the sturdiest base we could find to encourage it to stay put during wind storms. Welcome to my backyard compost bin! What type of gifts do you like to give and receive?